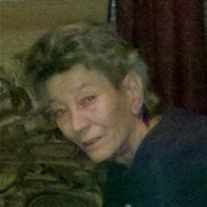 Bobbie Ruth Meadows, 78, of Andrews passed away Early Thursday at her home in Andrews. Funeral services will be 10:00 AM Monday June 2,2014 at McNett Funeral Home Chapel. Burial will be in Andrews North Cemetery. Bobbie was born September 23, 1935 in Garland, Texas to Edmond James and Beulah Hodges. She was a farmer's daughter in Ropesville, Texas and graduated from Ropesville High School. She married Willie Virgil Meadows February 16, 1979 in Carlsbad, NM. She was a member of Calvary Baptist Church in Andrews. Bobbie loved to ride motorcycles with her husband and take camping trips in their RV. 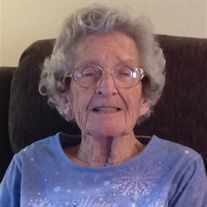 She liked to fish and she loved country music and going to country music concerts. Bobbie loved animals especially hummingbirds, cats and her dog Cody. She loved family gatherings and family dinners. She is survived by her husband, Willie Virgil Meadows of Andrews; daughters Gwendolyn Myers and Beverly Myers, both of Midland; 12 grandchildren and 16 great-grandchildren. To send flowers or a memorial gift to the family of BOBBIE RUTH MEADOWS please visit our Sympathy Store.